Take responsibility and own the consequences. Like the consequences of a Mushroom cloud over Tel Aviv, NY, London etc etc or even how about the Saudi Oil Fields… We don’t need the Oil, but there are one or two EU and other Euro Nations that just might. I mean what could ever possibly go wrong with the Nation that’s number one in sponsoring terror having both Nuclear Weapons and Ballistic Missiles…. nothing I’m sure. True many of you would cheer to see a Mushroom cloud over Israel, I’m sure it would stop there…. Now the rest of the sane people in the world might not agree with that pathetic view, they might actually agree that Iran having access to these weapons might not be such a good idea. Here is some proof though that the Mad Mullahs want both the Bombs and the missiles that deliver them. Ignore it if that’s what you choose, others won’t. As for North Korea the more vigorously we pursue this the more pressure is put on the Norks. 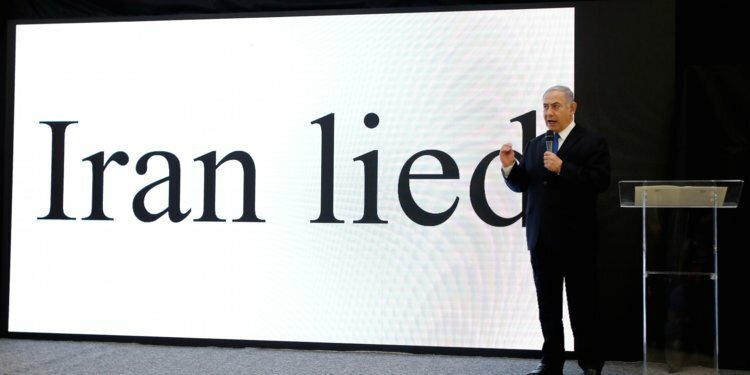 Here comes Netanyahoo with his PowerPoint of doom. Iran lied? Gosh, how terrible that a country in that part of the world would lie about a nuclear programme, eh Israel? I’m not particularly interested in the details of what he said. It’s enough to know that he still wants to bomb Iran. Fine, go ahead and do it. Take responsibility and own the consequences. Israel pours vast fortunes into its military, a lot of it confiscated from American workers. So Israel can use what it has instead of always enjoining other countries to do its dirty work. The Labour/BBC/Guardian nexus has been on Defcon One for weeks about the Windrush immigrants. Outrage abounds, special Parliamentary sessions have been held, tears have been shed, compensation and justice demanded. All this for a nothing issue which was never going to go anywhere once discovered. Amber Rudd resigned as Home Secretary last night (no loss), caught out telling lies to Parliament. Now they’re coming after the Prime Minister. The Tories are being pummeled to pieces by a Labour Party whose front bench couldn’t find a functioning brain between them. That’s how useless the Tories are. This is the lesson of the Windrush affair: Every word, every peep of outrage, every ounce of concern is more than they said about the plight of British girls. If one per cent of the concern that the Left has for black immigrants was directed towards British girls, thousands of them wouldn’t have been drugged, branded, tortured, raped and even murdered by Labour-voting muslim immigrants. When he’s over the trite profundity which would embarrass a schoolgirl, he can set an example and go first. Don’t be fooled by the colourful pantaloons, his personal bodyguard is made up of men of violence. 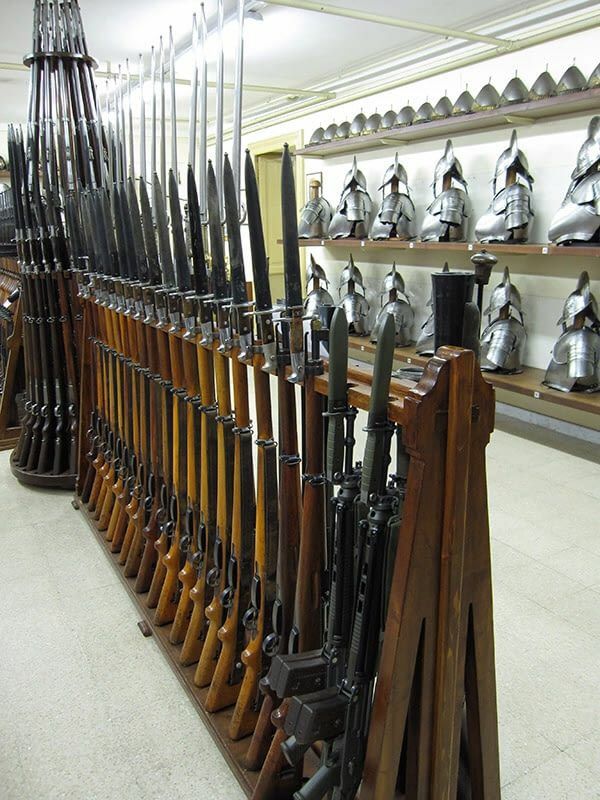 This is their Vatican armoury. Mick Mulvaney, President Trump’s Office of Management and Budget Director, was misrepresented by the lying media this week. He gave a speech to bankers, during which he advised them to contact their local congressman, as that is the most effective way of influencing them. That’s a bit different. That’s a clear statement that, in his opinion, constituents get access regardless of who they are or whether they made any financial contributions. It’s completely different from the impression which the media wanted people to take away about him. While the MSM were making fun of Sarah Huckabee Sanders, offending half the population and driving a wedge further between themselves and any form of credibility at the White House Correspondents Dinner. The President held a Rally instead of attending their hatefest. At that rally he stated his position that challenges both sides of the aisle. You see that giant fiasco of a Bill that was passed last month is only the Funding until October. In September a whole new funding Bill has to be passed. He says it won’t without the Wall. Busy days and things to do, as always. 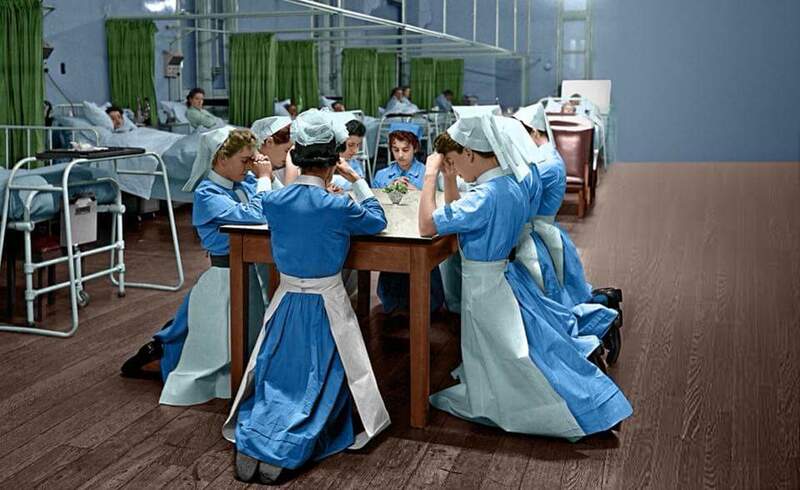 So have yourselves a weekend Open Thread, one decorated by NHS nurses, at some point in the 1950s, at prayer before coming on shift. It’s a remarkable image now because of the cultural revolution to which we’ve since been subjected. He just couldn’t justify his existence to the state. The state fought his parents to withdraw treatment. So his parents tried to take him to Italy, for treatment at a hospital which offered its services. The state blocked it and held him here. In the end his parents asked to take Alfie home to die. The state’s response was to put a police guard on his hospital door. The state is truly callous. A kind of peace in Korea has moved into view. Nothing has been agreed but yesterday, when both leaders crossed the armistice line into each other’s countries, was still astonishing. A lot of the talk has been about Trump: his “rocketman” jibes, his threats, his unpredictability, what role it all played. While Trump has played a role, he is more of a side show. We don’t see it because the West can be parochial. It blinds us to the fact that Koreans are smart and have agency themselves. When Moon Jae-in became President of South Korea last year the press highlighted his divisions with Washington. His softly-softly approach went against US strategy. Exactly what led to yesterday has yet to be revealed, but President Moon has followed the path he set out last year. That’s when he took a very big and brave step. One lesson we can take is that the John Boltons have been more wrong than right. Exploring the Human Condition 200yrs out.